Because the Dutch Shepherd is a rare breed, there are not always as many available for adoption as there are with other breeds. If there are no dogs available at any given time and you would like to be put on a waiting list, please send us a pre-adopt application and we will keep it on file. If there aren't any dogs in your region you can still adopt a dog from another region as long as transport can be arranged. In addition to our dogs, there are also DS and DS mixes available through other rescue groups, animal shelters and from owners looking to re-home their dog.Please be aware that NADSR cannot make any claim as to the temperament or health status of dogs that are not within our system. Click on any of the buttons below to view dogs that are available for adoption. You can also visit us at one of many other rescue sites listed. If you are a shelter, rescue organization, or someone wishing to re-home your Dutch Shepherd and you would like to list your dog on the NADSR website, please contact the webmaster here. 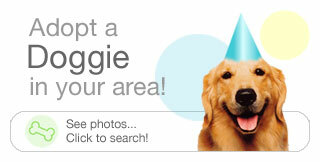 In order to list your dog on this site you will have to fulfill certain requirements and breed standards.